The quality of your thesis determines if you are able to get that highly desired degree or not. What is worth doing at all is worth doing well. This is why you must make the effort to write a winsome thesis, as this will enable you to prove your worth in the academic world. It is important your thesis is properly proofread. No error of any kind must be in it as, this may lead to a delay in completion of your degree. If you do not know how to proofread the thesis, you can always consult thesis proofreading services, and they will help get the task done. The prices demanded by these proofreading services differ one from the other. Some of them even offer free thesis proofreading. You should, however, find out if those offering such free services are able to deliver top quality. Never pitch your tent with poor quality proofreader even if they are offering free thesis proofreading. Below, you will learn some things you need to keep in mind when looking for thesis proofreading service providers. Do not be daunted by the huge amount of writing you have to do. Do not be scared about making mistakes; virtually all writers make mistakes while writing. They, however, get such mistakes corrected and proofread after the task of writing; thesis proofreading is part and parcel of the writing process. Consult other thesis materials before you write your own. You will get quite a lot of exposure and inspiration from past thesis write-ups. You may consult thesis written in other fields or your own field. It will give you ideas on how to structure your thesis to meet up with the expected structure. Consult your supervisor from start to finish. In fact, the two of you should plan the thesis structure together. Start off by creating a rough draft of the write-up and refine them later. If you do not have the time to do the writing or you do not have adequate knowledge in this regard, you can always consult with a thesis writer. Such individual can help with the work. Be ready to do a rewrite chapter by chapter. This is very important as it helps you to pick out the errors and make the thesis look acceptable. Thesis writer can contribute to getting this done. You can equally consult with an experienced thesis proofreader to get the job done. Never forget to inject some levels of flair into your writing. While a thesis write-up is expected to be formal, that does not mean it should be boring and dull; there is no offense in making it fun to read and highly engaging. You will need the service of an experienced thesis proofreader to help put in the right words in the right places to inject more life into the thesis write-up. There is no point in writing the thesis in chronological order. It is better to write each of the chapters as inspirations come or when the chapter is still very fresh in your mind. Best time to write each chapter is when you are doing anything that relates to that particular aspect. Proper thinking before writing will do you a world of good. After writing your first draft, place it aside for some hours or days and take a second look at it again. This will give you fresh ideas on how to make the write-up look better. Instead of laboring over this, why not consult a thesis proofreader to help transform the draft into something excellent and presentable? What is the style of references preferred by your university? You need to know about this before you start writing your thesis and also implement this in your write-up. Keep in mind that any paper you cite in the text must also appear in the bibliography. This is why it is very important to crosscheck your paper before you submit and make sure all the papers cited in the text are also listed in the bibliography. This problem can be settled with the help of a thesis proofreader. You can make use of various thesis writing software to help you put together a winsome thesis write-up, like Paperline and EndNote. These software can save you a lot of stress and prevent time-wasting. 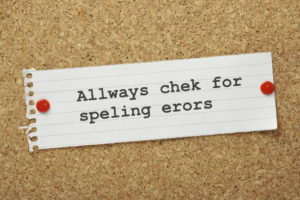 Ensure that your spellings and punctuations are correct. Properly peruse and review the thesis many times before making the final submission. You can get it done by yourself or you can hand it over to thesis editing services. There are so many of these thesis editing services around, and they are ever willing to help out. They will help remove any form of error, be it spelling, punctuation or grammatical error from the write-up. Do not make it general or broad. Rather, make it specific and focused. Too vague thesis statement may get thrown out by your supervisor. Make sure the thesis statement is streamlined so that it can be reasonably accomplished within the confines of your thesis. Such general or broad statements are unrealistic. Do not write a thesis statement that most people would agree with; it is better to keep things arguable and somewhat controversial. If your thesis statement can be contested, then you have got for yourself a winsome thesis statement. 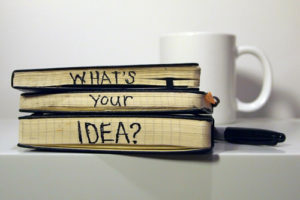 What you want to achieve in your thesis is to explain, inform, persuade, convince and argue a point and not to write something that will rob you of the opportunity of doing any of the above. Do not add too many points in the thesis statement. Just one or two main points are enough. Too many points may end up complicating the thesis for you, making it difficult for you to defend what you have written since you too may get confused in the long run. Do not write your thesis statement in the form of a question. Never forget that a thesis statement is never a question. You can seek help from professional thesis proofreading service providers, and they will direct you on how to write a winsome thesis statement. Do not write your thesis statement as if you are writing an ordinary observation or as a fact. Rather, your thesis statement should state a position clearly. With the aid of a professional thesis proofreading, you will never get it wrong. Do not clutter up your statements and do not provide too many details. Filled and lengthy thesis statement does not augur well in the long run. Make your thesis statement short and precise. Proofreading and editing your thesis is not a task you alone can accomplish. Below, you will find 5 good reasons why you should employ thesis editors for your thesis. Fresh pair of eyes to look into things: Despite the length of time you have spent in writing the thesis, there may still be a couple of things you have missed out. With a fresh pair of eyes, those hidden mistakes and errors can be picked out and corrected. No matter how many times you read through the thesis, there will still be one or two things that need to be changed and edited; this is where thesis editing services come in. Time Saver: With the aid of a Ph.D. thesis proofreading service provider, you can save a lot of time. The time you would have spent on proofreading or editing the thesis can be devoted to some other important things. Cut out the frustration: Employing the Ph.D. thesis proofreading is one of the best ways to remove frustration. Believe it or not, proofreading your work by yourself can be frustrating. You can just hand over to the editor and let them take care of things. Best way to improve language use: The editor can help you replace ambiguous words and make the language use more concise to enable you to pass the right kind of idea and information to anyone who reads your thesis. Many of the websites providing thesis editing services have the required experience to help get the job done. Best way to make your writing perfect: Websites providing thesis editing services can help put finishing touches to your thesis writing and fix all mistakes the will improve all writings and make the work presentable. They will review your style of writing and also removal l errors. In order to proofread my thesis, I will closely consider the points mentioned below before I employ any thesis proofreader. Fast service delivery: Most thesis writing is done under time constraint. Consequently, you need a thesis editor that can deliver the job on time. The best way to find such is to read reviews about them online. Find out about their turnaround time before you employ them. Find out also if they are consistent in service delivery. Trustworthy service: Trust is about everything. Every human relationship, including business relationship, can only thrive if there is trust. This is one of the very important features you must look out for in a company providing thesis proofreading services. Affordable service: Before I employ a proofreader to proofread my thesis, I will find out if the service provider offers affordable thesis proofreading. There is no point in getting it expensive when I can get it affordable. There are so many affordable thesis proofreading companies around, and it will help one to save lots of money. In most instances, these thesis editing service providers do offer top quality services and their services are even as qualitative as those providing the service extensively. Experience: It is in your best interest to only employ an experienced thesis proofreader. The experience acquired over the years can be brought to bear on your thesis writing and make the outcome winsome. Find out how long they have been operating before you employ their services. Native English speaker: A native English speaker is the best you can hire for thesis proofreading if you want the thesis to be written in perfect English. Find out if the proofreader is a native English speaker before employing their services. How much does it cost for thesis proofreading? Thesis proofreading rate differs from one proofreading service provider to another. The particular type of thesis you want to proofread can also determine how much you pay. If you want to proofread Master’s Degree thesis, you will have to pay between $200 and $2000, depending on the volume of work and complexity of the task. Thesis proofreading rate for Ph.D. thesis, on the other hand, can cost from $300 to $3000. Be wary of those outlets offering cheap thesis editing; patronizing their services may not be the best for you, as many of them do poor jobs. 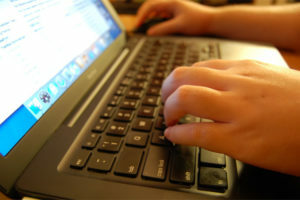 Some outlets also claim that they offer free thesis proofreading service. Such services are rarely reliable. You can never expect such proofreading to be thorough and provide the desired end of a top quality thesis write-up. Many of the so-called free thesis proofreading services have hidden agendas. They may use the opportunity to steal your identity. You want to avoid then like the plague. You can take a look at the real client ratings of these free thesis editing service providers, and you will come by loads of dissatisfactory remarks from their clients. No serious-minded person will opt for as free thesis editing service since quality is not assured. Real and reliable proofreading service can be expensive, but you can still get such at a highly affordable rate. You will come by many outlets offering affordable thesis proofreading services out there today. You can never compare the qualities of a free thesis editing outcome to that of paid editing; the difference will always be clear. The best thesis proofreading services will offer affordable thesis proofreading. Additionally, they will have long years of experience. Aside knowledge, a proofreading service website equally requires experience. Through long years of experience, they would have learned many tricks that do not exist in the books. They can then bring such skills to bear on your thesis editing needs. A top class proofreading service provider will be highly versatile; they will be able to proofread thesis at various levels of education. No delay in job delivery. They will have very fast turnaround time. They can compose a highly acceptable thesis that can improve on your grade. They place trust and faithfulness of their clients above every other thing, and they will do their best to win their customers’ trust at all time. They will provide nothing but perfect thesis proofreading like you have never seen before. They will equally offer affordable proofreading service. They will review all sentences and grammatical constructions to ensure perfection.